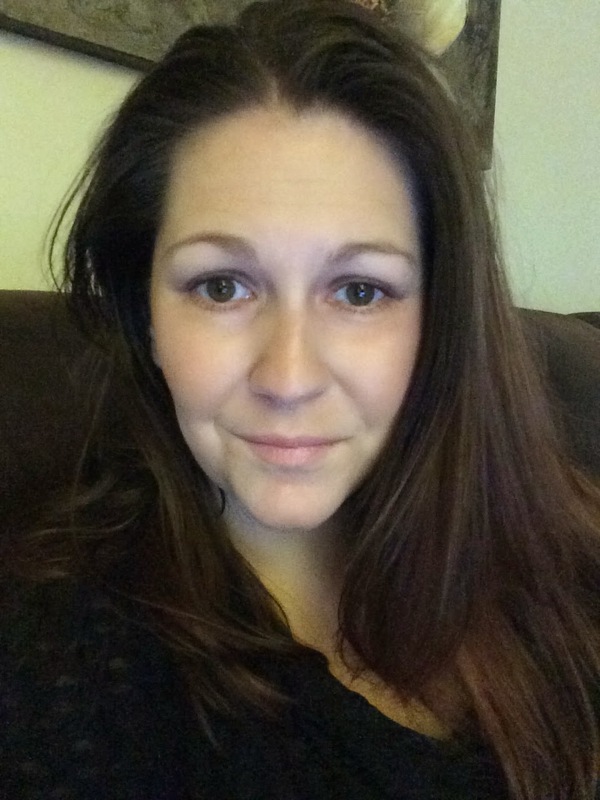 The title of this post was taken from the song You Learn by Alanis Morissette. About two weeks ago we took the kids to my Uncle Eddie's to pick blueberries. The kids love going to see him. He takes them riding on his 4-wheeler and sometimes they go fishing. I love Eddie so very much! 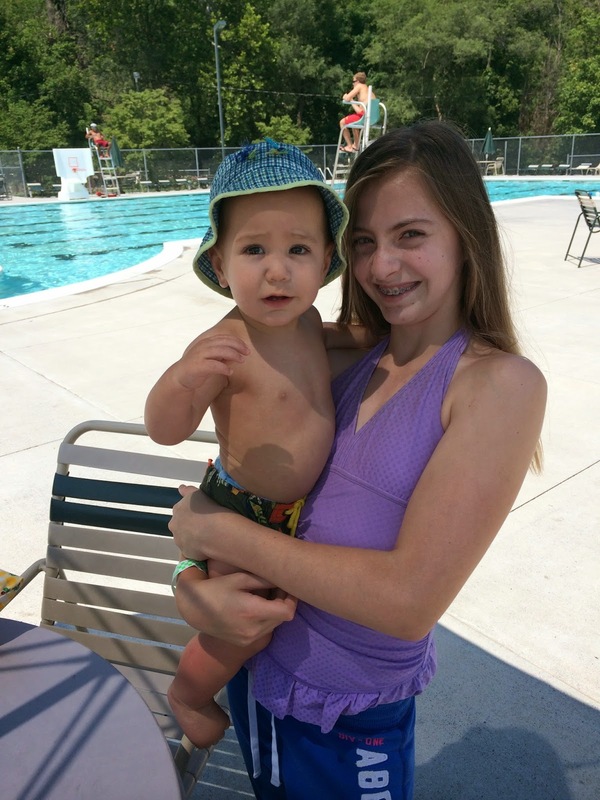 Tyler and Jaxon at the pool :) He loves to splash in the water! John has been working a lot of crazy hours and we haven't had a lot of family time lately. 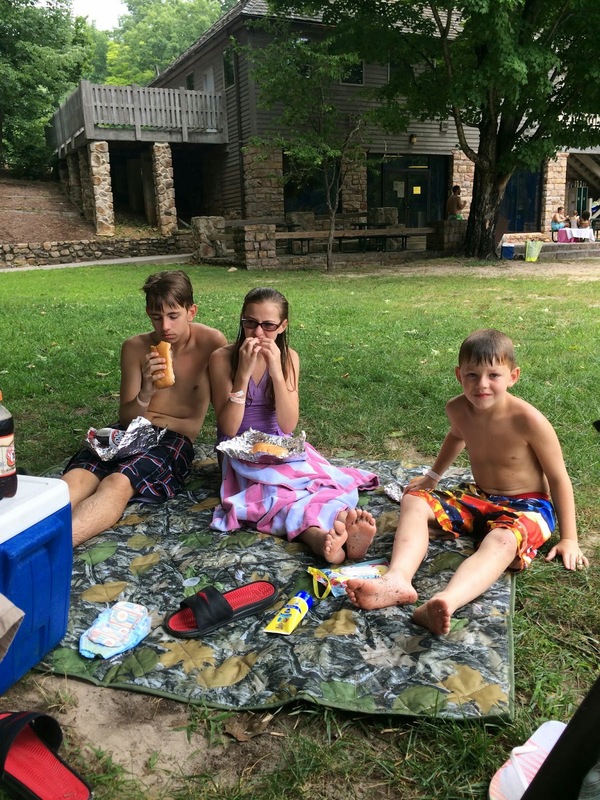 Last Saturday we took the kids to Douthat for a picnic. Tyler had been begging to have one. We had so much fun! On Tuesday Tyler left for girls camp. 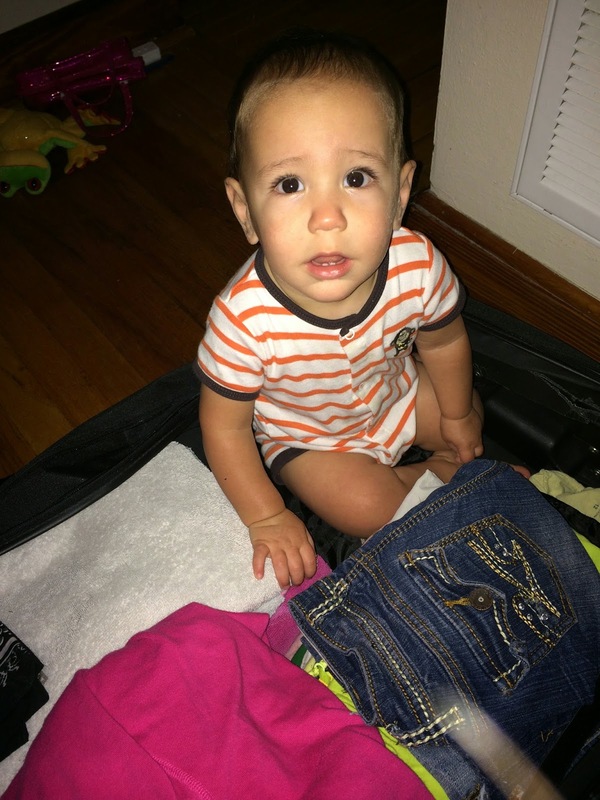 She left her suitcase in the living room and Jaxon climbed in. We can't wait to see her tomorrow. This momma has had some major anxiety about her being away for so long. My birthday was Monday. We didn't go out or have a party but I don't need those things. My birthday was awesome for a lot of reasons. Sebastian and his friends sang Happy Birthday to me, what 14 year old boy would do that for their mom. I love that kid so freaking much. My sister stopped by and brought me some goodies. I loved seeing her and Mikayla made me a card...seriously that child should work for Hallmark :) My mom stopped by for a bit and my brothers and dad all called. 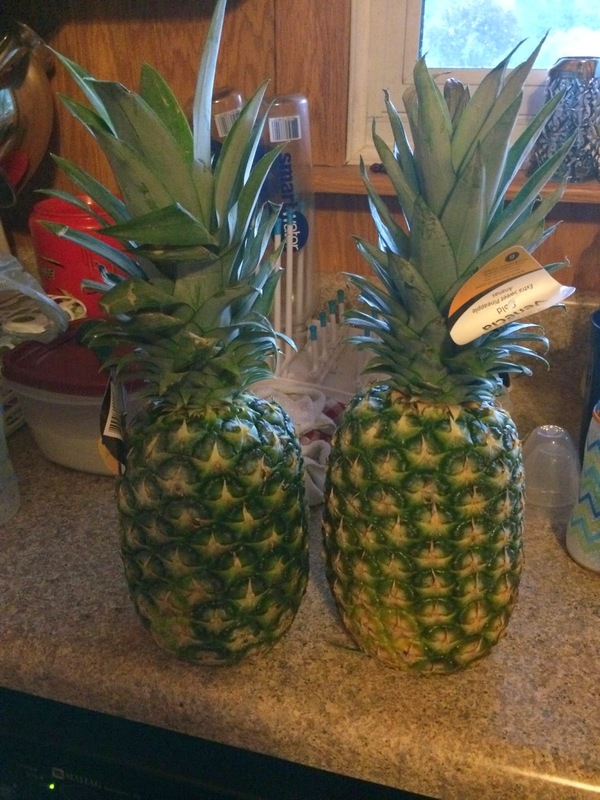 Instead of a birthday cake John bought me two pineapples. The kids helped me eat them and they were gone by the next day! I love my family and I am crazy blessed. Happy halfway to 70 birthday to me!